Exciting 2019 KZ models are in! See us in Harmony and explore them all! 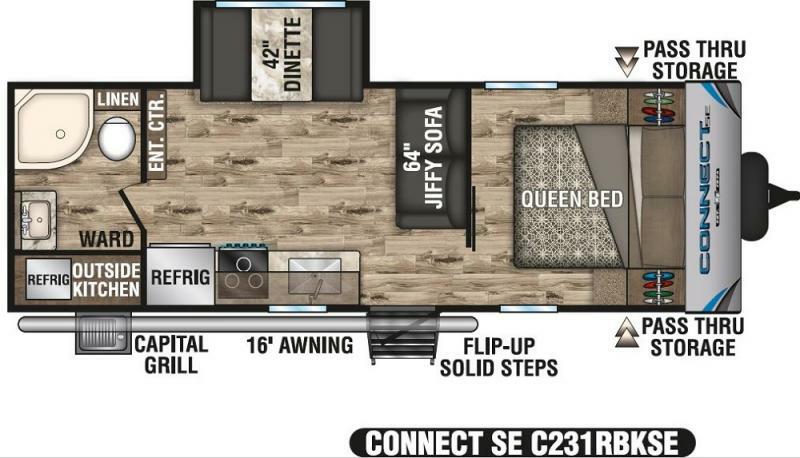 Consider this NEW Connect SE 231RKSE Travel Trailer. Fun outside camping kitchen and large awning. Inside enjoy the spacious floorplan with rear bath including a walk-in shower. 1 slide and sleeping for 6. Great selection for a mid sized group. Super to impress!